Across the moist woodland regions from Quebec south to Florida and as far west as Minnesota down into Eastern Kansas you can find in the early spring a beautiful yet unassuming, foot tall plant called Toothwort. 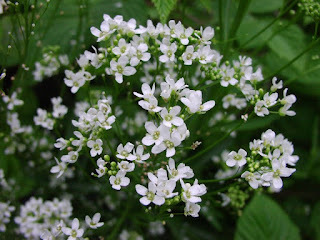 This member of the mustard family is partial to moist woods and damp thickets and boosts a single stem with three stalked leaves forming a whorl above the middle of the stem. Each leaf is deeply lobed, and each lobe is sharply toothed. The flowers bloom in April-May and are pink or white and clustered at the top of the plant with the four petals of this flower arranged in a cross shape. The leaves of Toothwort can be collected in early spring and make a spicy addition to milder potherbs either steamed or fresh in salads and young pepperroot leaves work as well as a delightful garnish for cold sandwiches. Added to soups or stews the peppery zest of Toothwort is hard to miss and the roots make a wonderful horseradish like relish to accompany beef and lamb. 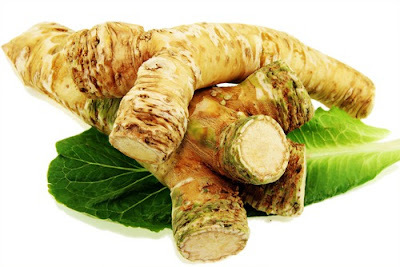 To make a horseradish like condiment collect several of the roots. This may prove tedious but in all reality you will not need many. Wash and grate the roots adding just enough vinegar to create a smooth consistency and use as you would horseradish as a side dish for beef roasts or lamb. Remember though this isn’t horseradish and even though the two plants are cousins belonging to the mustard family each has it's own distinctive flavor. -Put the stock, celery root, celery, onion, and garlic in a medium saucepan,barely cover with water and bring to a boil, reduce heat, cover, and simmer for about a half hour. 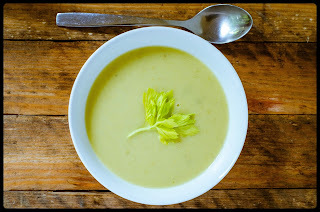 -Remove from heat, then puree the solids in a food processor or blender then mix in the stock til smooth. -Return to the saucepan with the cream and salt, then heat through. When you're ready to serve it, stir in the toothwort or horseradish, vinegar, and pepper. Ladle it into bowls and garnish with parsley or celery salt.